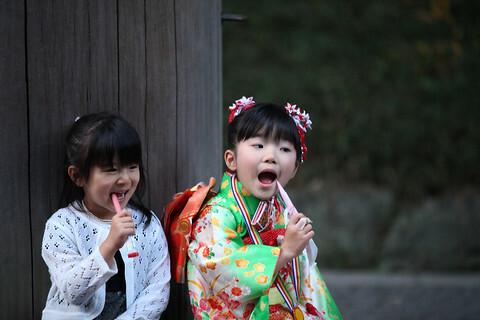 Every November, the Japanese celebrate kids who are turning 7, 5 and 3. 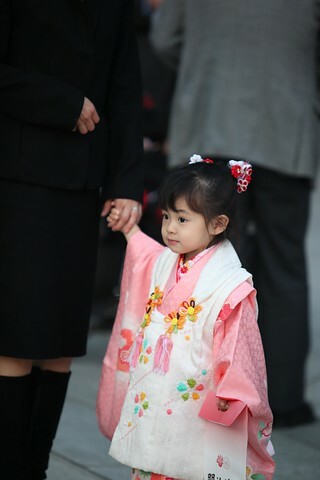 The kids dress in kimono and head to shrines with their families to pray and give thanks. 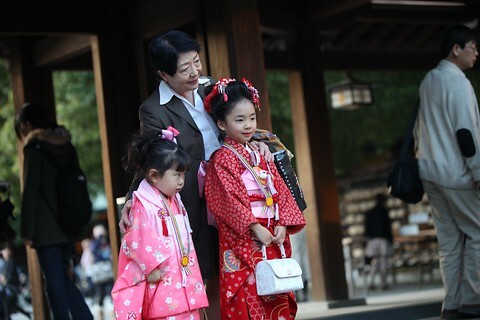 We happened to go to Meiji Shrine with Kevin and Kathy while they were here visiting. 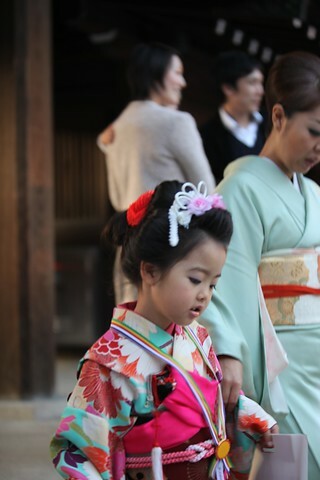 The girls were SO cute in their kimono. My favorite picture of the day. 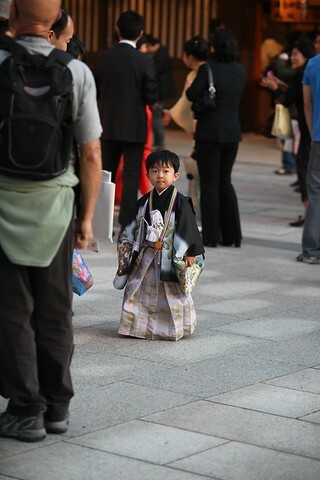 The boys were in kimono, too. She looks like she's got makeup on.